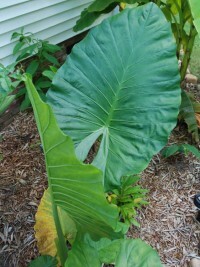 In the fall you can do something we call “chop the top” which is where you can cut the elephant ear off at the ground level and pot the top of the plant. 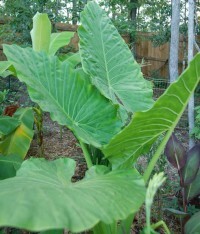 It will re-grow its roots and be ready to plant again in the spring. 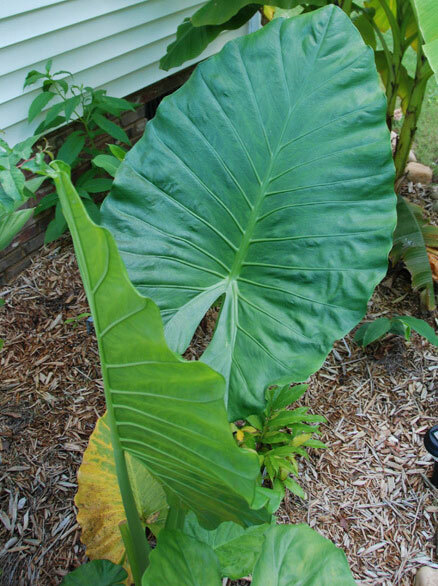 If you live in warmer zones (7a and below) this is also an excellent way to double the number of Elephant Ears you have. Grow in moist soil. 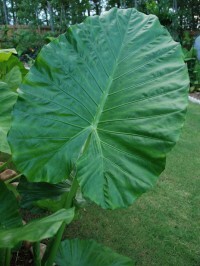 The larger the leaf the more I admire the plant. One of the largest undivided leaf exotics in the tropical plant world is the Alocasia odora from South East Asia sometimes called giant upright elephant ear. I think I have what’s called Alocsaia odora I have found a flower with a vey deicate perfume…. with a 4` long trunk. Can I cut the trunk off at ground level in the pot and regrow it from ground level in the pot Does anyone have any suggestions?